A young shark took the bait that was left overnight on a fishing line at the end of the dock on Pine Cay—bait that was intended for snapper, or grouper or other delectable dinner fish. When Raymond found it on his slow-gaited inspection walk around the dive shop just after sunrise, it was dead. Sharks need to keep moving in order to breathe, and this one, unfortunately, had been kept virtually immobile by the hook on a short line. Raymond hauled the creature in, all six feet and hundred pounds of it. His parents, with survival skills that dated back to the late 1800s when their grandparents were brought here, the Turks and Caicos Islands, from Africa, would have filleted it, made shark steak, or hash, from it and dried the rest. But at nineteen, tall lanky Raymond had had enough shark meat to last him a lifetime. Moving quietly in his speedo bathing suit and flip-flops, he loaded the recently dead animal onto a wheelbarrow and brought it to me. I had a working compost pile. It was in a big box that Raymond had nailed together from two old doors on either side, plywood cut to fit at both ends, a piece of wood on the top, bare ground underneath. The box was about six feet long, three feet high and three feet wide. I had filled it to the top with seaweed, leaves, donkey doo, lobster shells and refuse from many dinners from the small hotel on the island. Hot stuff! Literally. When you dug in with your fingers, it was almost too hot to leave them there. “I knew you’d want dis,” he said in the soft island way. We scooped the top layer of rotting debris off onto the ground, then reached for the shark. Indeed it did. Then we put back the layer we had removed, and put the lid back on. Coffin-like. Two days later, I went back to check on our animal. As I lifted the lid and peered in, the strong scent of ammonia stung my sinuses. Hm-m. Nothing looked any different. I pulled aside the top layer of compost materials. There lay our friend. When I touched the grey skin, it was warm, and pulled back easily to reveal white cooked flesh. I took a pinch to taste. Although the nitrogen odour was unpleasant, the flesh was flaky, mild, and slightly sweet. I ran home, grabbed a knife and plate, ran back, and cut away enough for our dinner, hoping the smell would dissipate by then. It did, and with sweet potatoes and white wine, we didn’t just eat dinner, we dined. Another two days later, I dug into the top layer and found … nothing. It was gone! Totally decomposed, transformed into other elements. The scent of ammonia was still there – sign of the nitrogen that would make rich compost. This was amazing. So fast! The temperature of the air, of course, was a helpful factor, 85 during the day, 75 at night. I dug around a bit more. Along the entire far side of the box was arrayed a row of vertebrae in perfect formation, from larger in the thoracic area to petite in the tail. 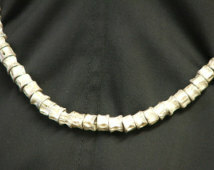 I’d never seen shark vertebrae, and was in awe. They were small and white, delicate. This fierce predator had exquisite gems running the length of its backbone. And such artistry in each one! 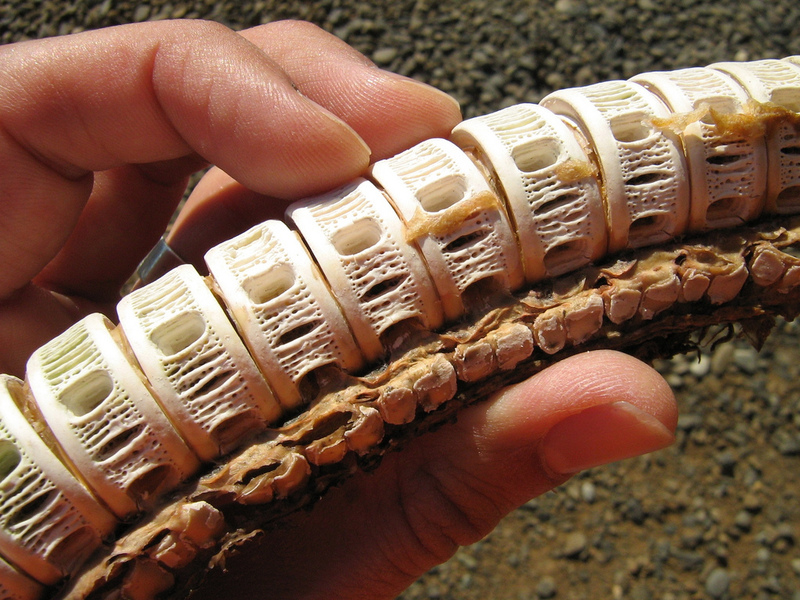 Cylindrical, about as long as my thumbnail, with small oval holes along one side. Immediately I could see a necklace. I picked the vertebrae out of the hot pile, brought them home and let them completely dry on a plate in the sun. Days later, I drilled small holes in their centres and threaded a piece of leather thong through them, knotting it between each one. The finished piece was ancient, oceanic, and my artistic delight. I loved wearing it. A few months later, as part of a conference on gardening in the tropics, a group of us visited a museum in the Dominican Republic. Under one of the glass cases of early man, I could hardly believe what my eyes were seeing. 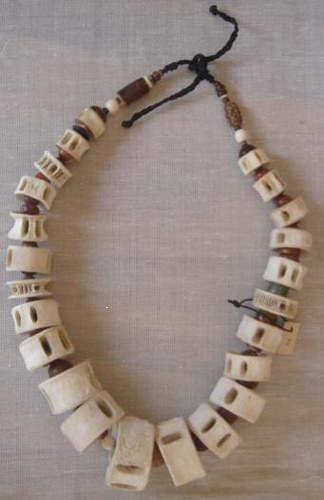 A necklace composed of shark vertebrae—from the 13th century! I felt an immediate kinship with the woman who imagined, designed and wore that necklace. In that startling moment, I met up with my original native self who wanted to adorn my body just as she did. I met a sister … who had lived, dreamed, died, and left beauty behind. “Avoid temptation”: When I worked in Bucharest, I was a ‘babe-in-the-woods’. Nevertheless, I decided to write from that ingenuous perspective and not as my older, hopefully wiser, self. “Plow on regardless”: While I might forget precise dates, the names of places and people and exact details, I avoided being slowed up by research that would have added little value. A strong feeling of urgency and inevitability. Almost like giving birth, once the story had grown inside of me, there was no keeping it from coming out. A strong history of journalling — that desire to record and remember. And perhaps a fear of losing those precious memories. I want to keep them fresh for myself, and for my children. Curiosity. Writing a memoir is setting out on an adventure. Like deep sea diving, or hiking the Camino trail, it is the anticipation of unknown discoveries that grabs your imagination. What will you remember that you had forgotten? What will you learn about yourself? What will it feel like when your book is in your hands, bound in a form meant to last through the generations? Generosity. When you write your stories, you give to others. Every sentence, and the thought behind it, is a gift to someone who will one day read your stories. “Give, give, give; write, write, write,” is a message from your generous higher self. Trust. Trust that you will get there. 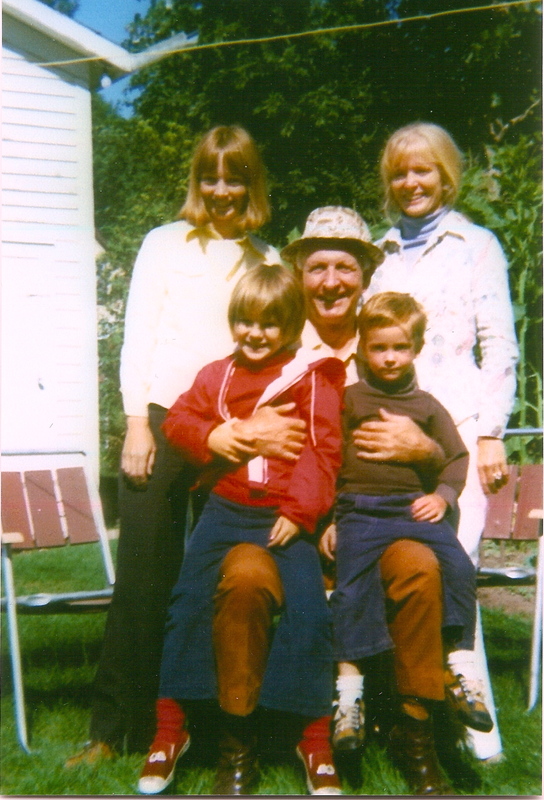 Writing a memoir is a journey. It has a beginning, then it has pitfalls, great highs, doldrums, night sweats, gems, and then it has an ending. Of course, the raft on which you are crossing the ocean may be rammed and broken into pieces by a maddened humpback whale (its partner endangered by whalers), leaving you treading water … but along comes a sail boat and picks you up. Picks you up. Somehow, changed in some way, you get there … to journey’s end. Steve, many thanks for inspiring me with your question. I hope you get a chance to read A Scotsman Abroad (free on line) and Amare: A True Italian Love Story (available at Indigo). 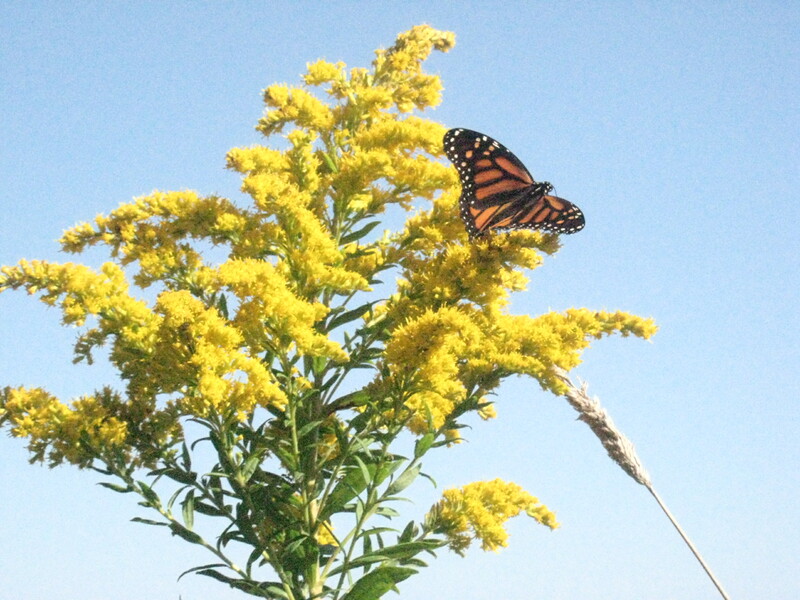 It’s late August and Goldenrod is everywhere. 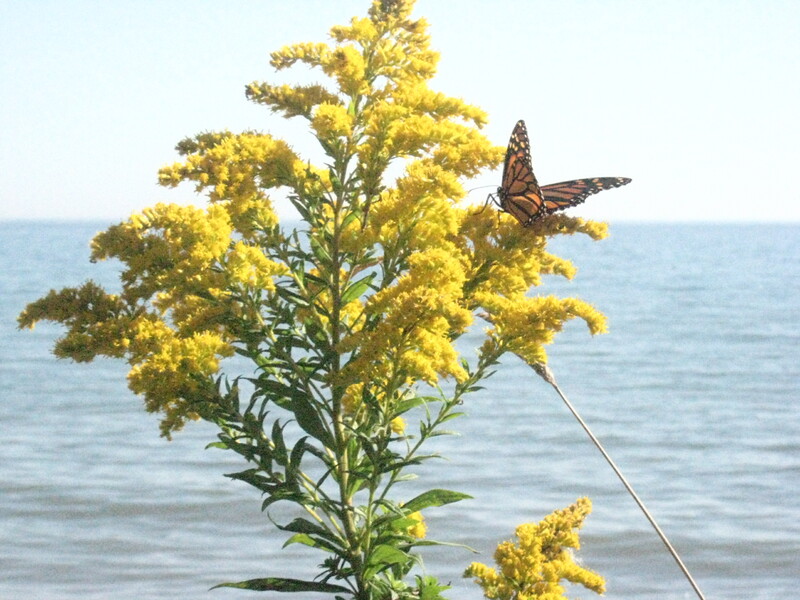 I walked by Lake Ontario today, and was ecstatic to see several species of bees, three lady bugs, two wasps, one grasshopper, and one monarch butterfly luxuriating on the lush yellow florets of Goldenrod in full feathery bloom. Fascinated by the frantic activity of the bees and the majesty of the monarch in the hot afternoon sun, I stopped to observe. The monarch grasped florets with its thin black legs, and occasionally opened and closed its orange wings as he or she gathered nourishment for the trip across the lake. I had just learned that a bulge in one of the black veins on the hind wings indicated male gender, but was so taken with the interaction between Goldenrod’s lunch menu and feasting visitors that I forgot to notice. I kicked myself for not having a camera. The bees clung to florets, even hanging upside down as they gathered the riches. Some looked like bumble bees, some like yellow jackets. Others could almost be mistaken for flies. Sometimes they flew the short trip to a nearby ochre buffet proffered on the tip of another four-foot stem. Maybe, I thought, just maybe, all these life forms would still be here if I beetled home, grabbed camera, and zoomed back. Luck was with me. Half an hour later, the multi-specied community was still harmoniously harvesting pollen and nectar. Click. Click. I must admit I had never really appreciated Goldenrod until this moment. What did it do besides give me hay fever? Here by the lake I could clearly see it offered sustenance to winged wildlife. This past weekend, I had another Goldenrod moment. I drove out to Campbell’s Honey House (on Campbell Road west of Warkworth, Ontario) to get my winter supply of unfiltered honey. I handed Mrs. Campbell my jars. 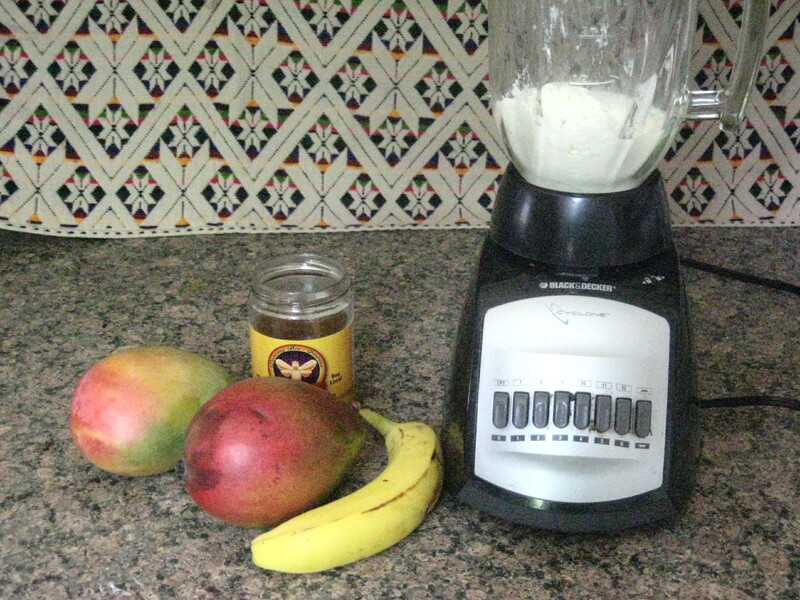 “Would you like summer honey or fall?” she asked. Goldenrod! It offered sweet sustenance to human life, too. How could I have misjudged it all these years? Ignorance is not bliss. To top it off, my doctor told me that it’s unlikely my, or anyone else’s, hay fever is caused by Goldenrod. Ragweed is the usual culprit. The two just happen to blossom at the same time. Folks, this land of ours is alive! Let’s keep it that way. Thanks to Kathryn McHolm for teaching me how to see gender in Monarch butterflies. Thanks to Leslie and Peter Campbell for teaching me about their bees’ honey. And thanks to fellow travelers, the bees, for the sweet winter ahead. Eowyn and Prime Minister Justin Trudeau. 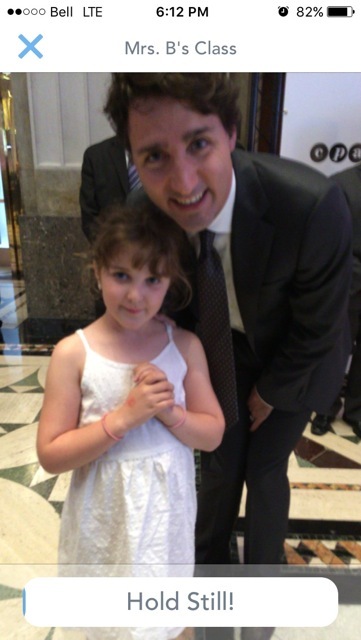 Before she left for Ottawa with her parents for the Canadian Dance Festival, eight-year-old Eowyn announced, “I’m going to have my picture taken with Prime Minister Trudeau.” Ha! Once words are launched into the air, atoms and molecules perk up their ears and set the stage. The girl’s parents noted the flurry of molecular theatrics and unwittingly began to conspire with them. My niece Kate, who is Eowyn’s mother, had won an award in the dance world. She arranged for me to receive a formal invitation to the reception from the Minister of Heritage. On the day of the event, I drove the four hours to Ottawa, and checked in to the downtown hotel where other family members were staying. I took a taxi through the stop-and-go traffic to the site of the reception, and passed through the security queue. Hundreds of dancers were gathered on the second floor of the Sir John A. MacDonald building on Wellington Street. Wine flowed, an Aboriginal dancer welcomed us to this traditionally Algonquin land, the several speeches were short, and the award was presented to Eowyn’s mother. Dancers milled about, jubilant to meet others devoted to this same artistic pursuit. Eowyn and her parents eventually wandered out to a quieter space at the glassed-in front of the building. They looked out. A black limousine pulled up to the sidewalk. They dash down the stairs to another reception room. What happens next is as much the mystery of molecules—obviously listening—as it is the universe fulfilling a promise to a young girl. Knowing this was meant to happen, Eowyn self-assuredly jumps the line of officials wanting to talk to the Prime Minister. He sees the girl (and the camera-ready waiter), and steps over beside her, big smile on his face. Click. History in the making. Her story. Did I hear you say you are going to write a memoir? I can hear the flurry of molecules and rustling of paper and tapping on keyboard. I can see pages accumulating. I can feel the stories dripping from your shoulders and fingertips. History in the making. Your story. An Honest House is a rich memoir that moves through a ten-year period of Cynthia Reyes’ cynthiasreyes.com life. 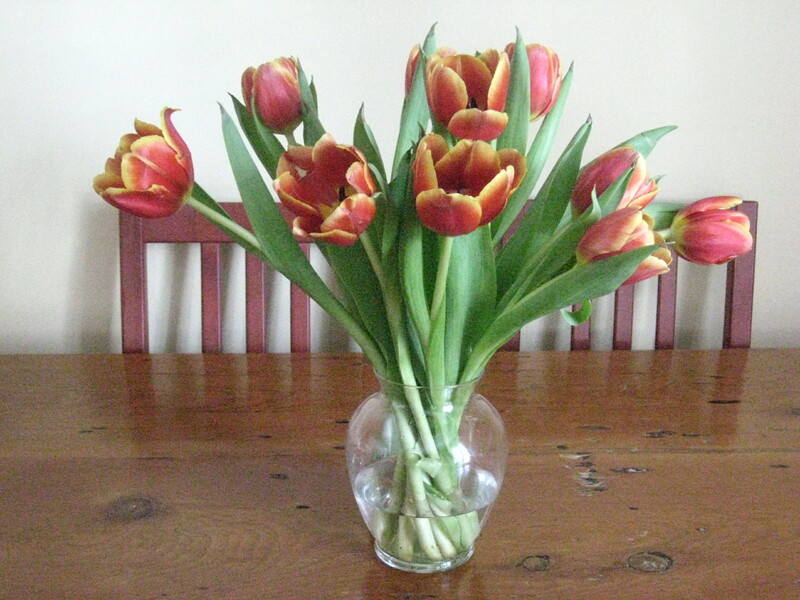 In the midst of a successful career, family life with children blooming, she and her husband move to an old farmhouse surrounded by gardens they love, just north of Toronto. Against this idyllic backdrop, PTSD strikes. A car accident leaves Reyes with debilitating pain and Post-Traumatic Stress Disorder and its attendant depression, inability to concentrate, inability to sleep, nightmares, regimens of pain killers, difficulty walking and years of physio. The dream house becomes a prison. In case you are thinking this is a hard luck story, it’s not. Good memoirs bring light into the world, and An Honest House beams light from every page. Bit by bit, from deepest despair to light-hearted jocularity, we accompany Cynthia Reyes as she “grows up”, to use her term.